Raise the suspension, add all-wheel-drive and big tires, and you're good to go. There’s been talk of Porsche adding a 911 offroader to its lineup, but that rumor since went quiet. 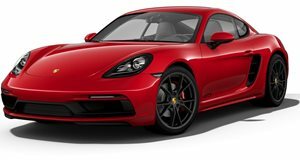 X-Tomi Design has decided to restart the conversation by creating a jacked-up Cayman, dubbing the rugged mid-engine sports car “Safari” as an unsubtle hint to the German carmaker to follow through with its original plan. That was meant to have a raised suspension, chunky tires and underbody cladding, which the Hungarian renderer has included in his creation along with plastic body molding and all-wheel drive.